And you would be one hundred percent wrong. Or at least I think you will be wrong, because I couldn’t figure out how to perform that simple edit after several hours of dedicated research. Worse, when I finally did manage to bash a few helpful keywords together, they brought me this little nugget of buried information: “You can’t branch a node.” Wait — what?!? As it turns out, a lot of what Inkscape seems to be suggesting with words and features is not what it’s actually doing. When you overlap two shapes and join them, that simply means those shapes can then be selected and moved as one. The shapes don’t weld themselves together and they certainly don’t create new nodes where they cross. And that’s probably the most important lesson I can pass on about Inkscape. Do not think like you think the program wants you to think. As you can see, with some effort you can get by, though there will be days when you wish you had just hired someone to solve all of your problems. Worst-case scenario, you may only be able to mock up your ideas before bringing in a professional — or your graphically inclined niece — but that’s still better than trying to use feeble words to communicate what you see in your head , or trying to sketch, scan and email your ideas to someone far away. If you’re used to GIMP you’ll be seduced by the ease with which you can both scale and sprawl across a wide Inkscape canvas, versus the need to constantly work in fussy layers. Unfortunately, that’s another way of saying it’s really easy to get lost in Inkscape. 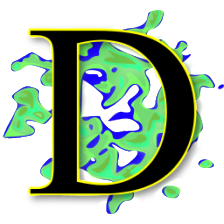 Fortunately, Inkscape does support layers, and I think that’s probably the best way to transition while you’re learning. Figure out what you want, build the elements one by one, learn as you go, overlay as appropriate, and voila — if you’re lucky you’ll have something that’s not totally awful. Or at least that’s my own current measure of success. If you’ve been using GIMP or another raster-based program you should give a vector-based program like Inkscape a serious look, if only to compare strengths and weaknesses. (Because you can import/export various file formats between the two you can have the best of both worlds.) A simple tutorial on cover design using Inkscape can be found here. If you want to learn Inkscape as painlessly as possible, start here. (Because Inkscape keeps evolving some menu settings/locations in those videos may have changed, but the advice is still spot on.) A solid companion series on working with text can be found here.